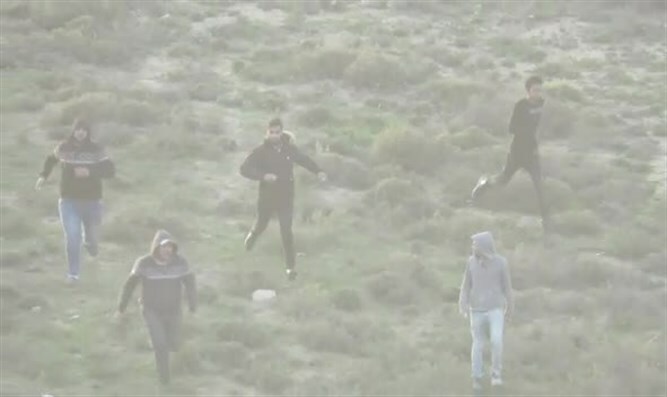 Otzma Yehudit documents Arabs throwing rocks at children's tree planting in Yitzhar. Will security forces arrest them? 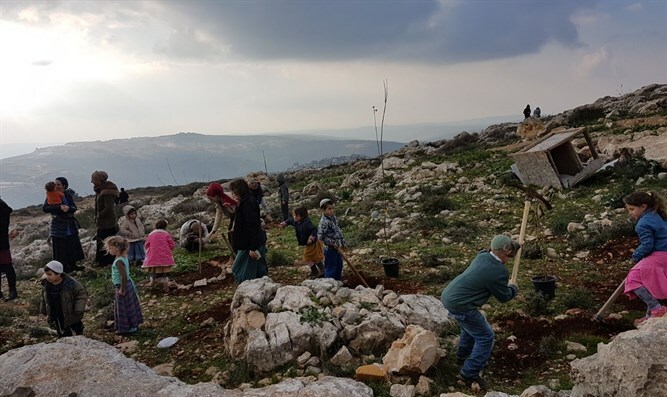 A video crew of the Otzma Yehudit movement documented Arabs from the village of Urif in Samaria hurling rocks at a Tu Bishvat festive tree-planting at the Kumi Ori hill in Yitzhar. 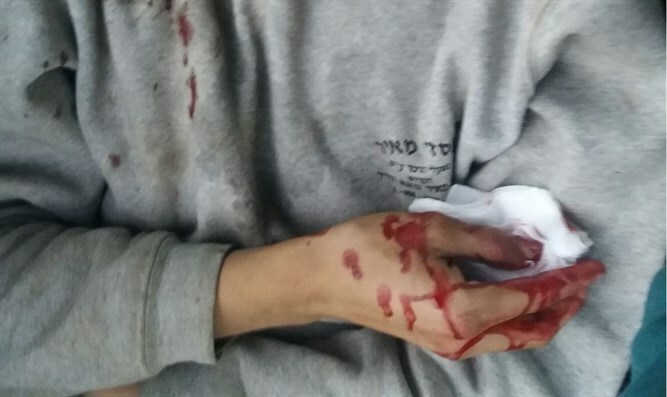 Following the rock attack, a number of Israeli youths tried to repel the rioters and drive them from the hill, and during the attempt, an 18-year-old Jewish boy was injured by a rock hurled at him. An IDF force arriving at the scene at the same time as the rabbi of Yitzhar chased the Arabs back to the village. Otzma Yehudit Director Tzvi Sukkot who was present at the incident called on police to use the video footage of the Arab rioters to identify and arrest the attackers immediately. "Again it was proven that in the face of Arab provocation, it's good to have cameras on the right side that document what really happened." Activists launched a crowdfunding campaign a few days ago to finance purchase of cameras and drones to document Arab rock-throwing attacks. "We thank the IDF for forcing them back to the village and hope the photographed rioters will be arrested as soon as possible," Sukkot added. "An extensive arrest operation in the village of Urif will drastically reduce such events." The police told Arutz Sheva: "Yesterday, police received a report from military sources about rock throwing between Yitzhar residents and residents of Urif. Following the report, an investigation was launched."